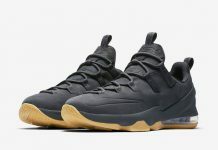 The Nike LeBron 13 “Pot of Gold” is the newest Nike LeBron 13 to release that is inspired by LeBron James’ work ethic and rare combination of speed, agility and strength as he always finds the end of the rainbow, and earns his Gold. Dressed in a Black, Metallic Gold and Hyper Grape color scheme. 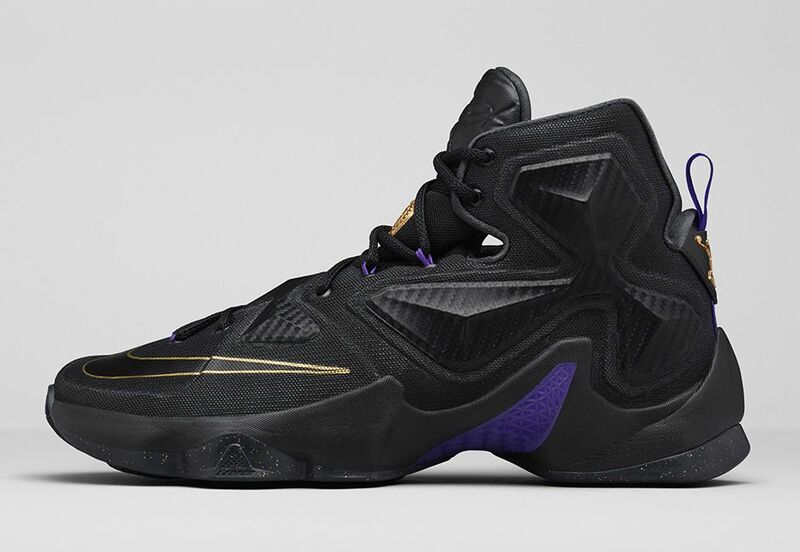 The shoe sports a full Black-based upper that is highlighted with Gold accents and Purple detailing. The release will also come with matching apparel suited for a king. Check out the official images below and look for the Nike LeBron 13 “Pot of Gold” to release on Wednesday, November 25th in GS sizing too at select Nike Basketball retail stores, including Nike.com. The retail price tag is set at $200 USD.